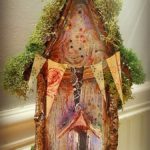 If you want fairies in your garden or home to stay through the colder season they will need a warm place to live. 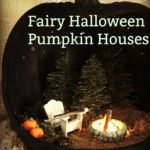 Their are gourds, hollows in trees and Funkin Pumpkins that can make your fairie garden beautiful and keep the fairies all year long! 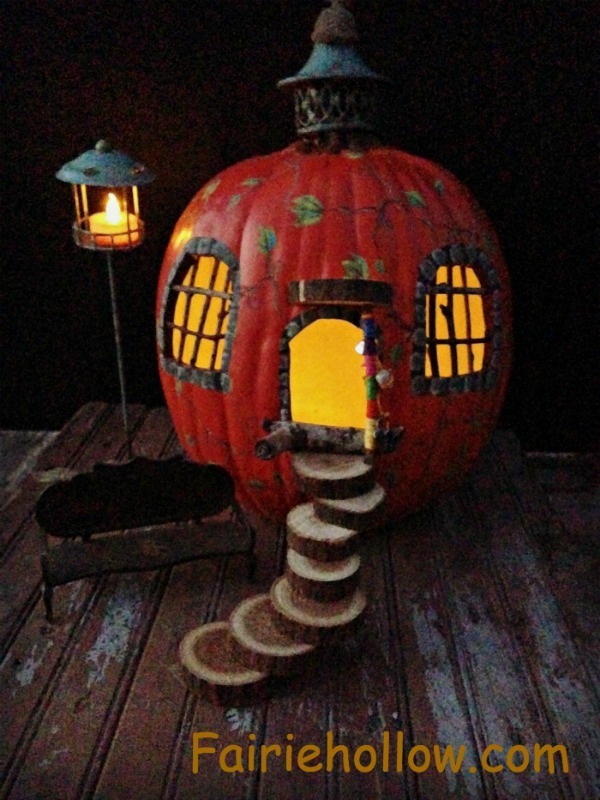 When the lights are out this fairy pumpkin house will glow. It will be a wonderful addition to your fairy collection. 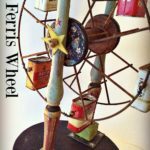 This project was made from a nice orange Funkin pumpkin that I purchased at the craft store. I must say fairies are wild and natural. They love beautiful surroundings in there homes and the closer to nature things are the better and this pumpkin looks perfect in any setting. I am starting with a ‘Funkin’ pumpkin that is pretty far from natural, but oh is it warm and sturdy. You can find them at craft and dollar stores this time of year. They aren’t painted with the best orange, so I decided to paint it with a deeper orange spray paint. I used Rustoleum 2X Satin Fire Orange. Then for added decorative accents I painted vines and leaves. This is when you can get creative! 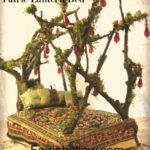 You can paint most of it with vines and then add artificial miniature vines too. I took a sharp kitchen knife and cut out a hole for the door, (Adults should do this part because it takes some muscle…)then two windows were cut out and painted to look like stones surrounding the openings on the door and windows. Here again, use your imagination and cut whatever shape you like and as many windows as you want too. 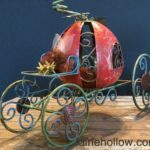 The top of the Pumpkin House is a metal piece that I found in a clearance section of a craft store. It was a small lantern that I took apart. Then glued the little acorn on top. It is just resting on the stem. The clearance center of craft stores has all sorts of bit and pieces that you can get for great prices. The stairs are from a branch that I found in my backyard and cut with a bandsaw. I curved them into a little spiral and glued them with wood glue. Then added a porch cover made from the branch that I cut in half and glued in place. You could use burlap with wire to make another type of awning if you want. The windows needed something fun so I glued little sticks in to look like bars. These Funkin’ Pumpkins are easy to work with and the sticks were pushed in easily. Little twigs could be put over the windows as awnings and would look great! The last thing added was a Fairy Stick wrapped in Embroidery Thread with dangling bells and a crystal for good luck. It looks wonderful and it helps hold up the porch! 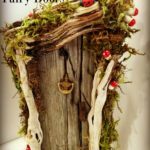 I hope this inspires you to add a fall project to your fairy garden or table top decoration.